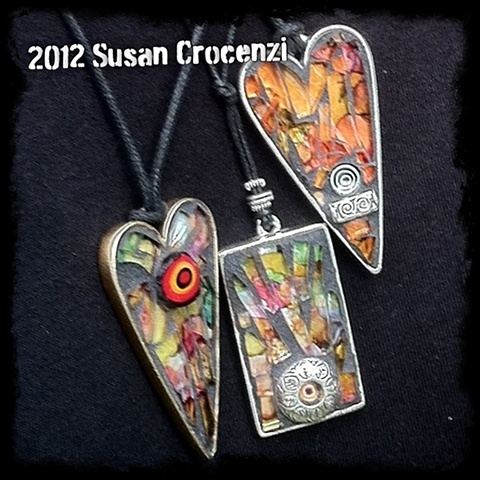 Tempered glass pendants with accents of millefiore and metal beads. Hearts are 2.25" tall and rectangle is 2" tall. Strung on black nylon cord to approx 22" long and knotted at the back (no clasps).